For most mesothelioma patients, diet is often an overlooked subject, but eating the right nutritional foods for strength and energy is just as important as taking the proper medication. Mesothelioma patients undergoing treatment should follow a special cancer diet devised by their nutritionists. Cancer diets involve eating the correct amounts of protein and calories as well as drinking the right amount of water to keep the ailing body replenished and energized. The body needs plenty of nourishment when it is going through chemotherapy or even when the patient is taking certain medications. As with most cancers, along side traditional treatment changing your diet can help. Increase soy beans products in your diet, the alpha carotene and lycopene in soy help to revert and reduce tumor growth and metastasis. Other anti-cancer foods that should be plentiful in your diet are cabbage, kale, Brussels sprouts, shiitake mushrooms, broccoli, pears, citrus fruits, turmeric, tomatoes, blackberries, raspberries, blueberries, green tea, walnuts, spinach, wheat bran, rice bran, rosemary, garlic, thyme, oregano and onions. These foods should be organic. Cut down on meat (especially grilled or barbecued) and dairy food consumption, pickled food, smoked food, alcohol, saturated fats, salt, sun exposure and smoking. Protein is important for any cancer patient because it helps repair tissue damaged by surgery, chemotherapy, or radiation. Protein also helps maintain a strong and healthy immune system, lowering a mesothelioma patientâ€™s risk of infection after aggressive cancer treatments. The National Cancer Institute recommends increasing protein in a cancer diet with cheese, milk, ice cream, yoghurt, eggs, nuts, peanut butter, meats and fish. Fats are an essential part of the cancer diet because they supply the body with the necessary energy it needs while undergoing treatment. The amount of fats (meaning the number of calories) a cancer diet should consist of is dependent on a mesothelioma patients age and body size. The National Cancer Institute recommends increasing caloric intake with such foods as butter, milk, cheese, honey, sugar, granola and dried fruits. Water is another essential element of the cancer diet. Without a substantial amount of water, the body will dehydrate. It is important that anyone undergoing cancer treatment receive enough water to keep their bodies hydrated and replenished. The details of every patients mesothelioma diet will vary. Some patients will need to incorporate more fat into their diets, while others may need more protein. It is important that patients devise a cancer diet under the guidance of their doctor and nutritionist to ensure that they receive the proper amount of nutrients to improve their quality of life. Eating a healthy diet that contains all the essential nutrients can be a challenge for anyone. But for people with mesothelioma and other cancers, this challenge is even more difficult. Although loss of appetite and nausea are common in people with mesothelioma, eating a healthy, balanced diet becomes more important than ever. Proper nutrition helps to boost the immune system, maintain energy levels and fight the free radicals that can cause cancer. In addition, diet and nutrition can play an important role in reducing the toxic side effects of some mesothelioma treatments. If you or someone you know has mesothelioma, here are some diet and nutrition tips for fighting the disease and living well while undergoing treatment. A consultation with a dietician can help you create a nutritious meal plan that is tailored to your needs. Most sources recommend a lower-carbohydrate diet for people with cancer. At the same time, higher amounts of protein can help repair tissue damaged by surgery or treatments. It can also help to maintain a healthy immune system. Include fats in your diet to help supply your body with the energy it needs. Drink plenty of water to keep your body hydrated and flush out the toxins produced by mesothelioma treatments. If loss of appetite prevents you from eating more than a few bites at each meal, you can boost your caloric intake and avoid excessive weight loss by consuming high-calorie foods. These include butter, milk, cheese, honey and sugars. Focus on liquids and soft foods if you are nauseated or have difficulty swallowing. Blended drinks such as fruit smoothies may be more tolerable than solid foods. Commercially prepared liquid diet supplements are also useful. To be sure you are getting enough of the nutrients you need, you may want to ask your doctor if nutritional supplements are right for you. Those dealing with asbestos and mesothelioma face a number of challenges, including the tremendous costs of treatment. If you were unknowingly exposed to harmful levels of asbestos, you have legal rights and there is help available for you. Deciding which law firm to represent you and your case is very important. Choosing the right law firm will also be important to your settlement. 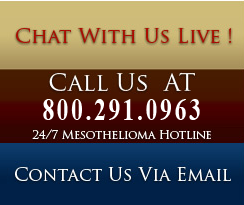 You are entitled to an experienced mesothelioma law firm who has a track record of success in asbestos lawsuits. It is not uncommon for there to be 10-20 parties that are named in a asbestos lawsuit that are located across the United States. For example, a worker in California may have been exposed to asbestos from asbestos products shipped from Libby, Montana or from an iron ore plant in St. Paul Minnesota. This is why it is very important to obtain an experienced asbestos mesothelioma law firm that knows all of the companies in each state who have responsibility for your asbestos exposure. If you are a grieving family member or executor of the will of a person who has died from asbestos-related disease or mesothelioma, you may be eligible to file a claim as well.